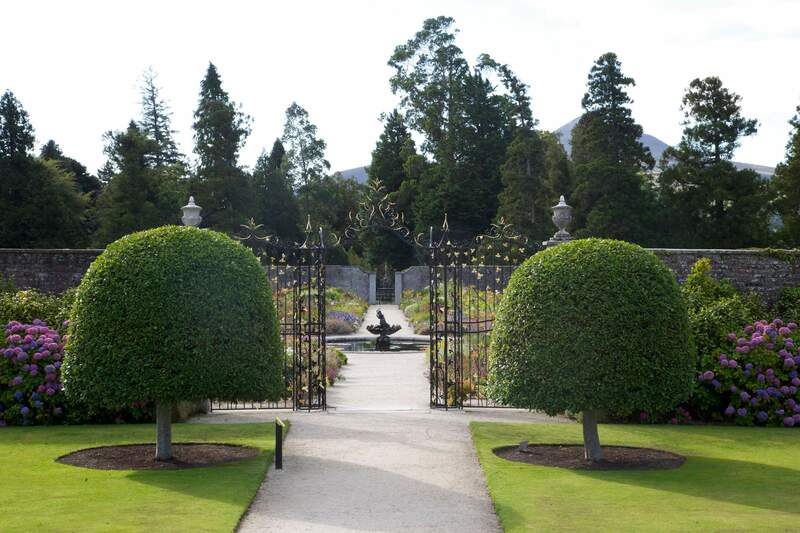 The beautiful 1,000 acre Powerscourt Estate in County Wicklow is located moments from Dublin. Explore the No.3 Garden in the world (National Geographic) which stretches over 47 acres. It offers visitors a sublime blend of formal gardens, sweeping terraces, statues and ornamental lakes, secret hollows and rambling walks. Experience Ireland’s Highest Waterfall with its lush parkland, an abundance of wildlife, sensory walking trail, children’s playground and relax with a picnic or BBQ. Also located on Powerscourt Estate is an Avoca café, shopping experience, two championship Golf Courses, the 5* Powerscourt Hotel, Cool Planet Experience (Ireland’s first interactive climate change experience) and the Powerscourt Distillery.